Over the intervening centuries since Kingdom of Israel existed, the ancient Philistines either completely died out or were slowly assimilated into the surrounding Arab nations after many empires wreaked destruction upon this region. One of those empires was actually instrumental in renaming this whole region of the world. When the Greeks began to dominate the Middle East in the aftermath of Alexander the Great’s swift battle victories in the fourth century B.C., they renamed the territory that the Jews called “Pleshet” (Land of the Philistines), to “Palaistina”. Eventually, when the British were given the mandate for the territory in the twentieth century they revived this term and renamed it “Palestine” (Encyclopedia Britannica, 15th ed., vol. VII, s.v. “Palestine”). Since early in the Twentieth Century, this name has been used to describe the entire area west of the Jordan River. The people who lived in this land during the thousands of years that the Jews were scattered also bore this name and became known as the Palestinians. These are the very same Palestinians that have caused tension, terrorism, and wars in the Middle East for decades, even before and after Israel became a nation in 1948. Now that we know the history of these names and peoples, suddenly the prophecy of Isaiah becomes clear and pertinent to our time. Anyone who has lived during any part of the last 60 years and has been even remotely aware of Middle Eastern affairs should immediately recognize the significance of the Palestinians. During Israel’s 1948-’49 War of Independence, Palestinians living in the land were scattered throughout the surrounding Arab states and also displaced from their homes or villages to refugee camps within other parts of Palestine. One particular area that became the home for hundreds of thousands of these uprooted people was along the southwestern portion of Palestine—an area known today as the Gaza Strip. 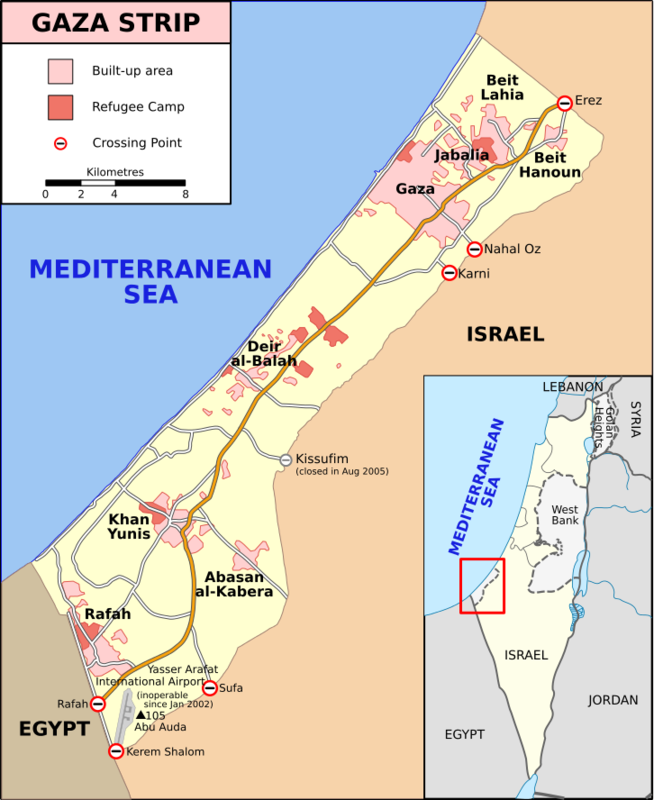 This area almost exactly corresponds to the territory associated with ancient Philistia, and even more amazingly, the major city in this small strip of land is called Gaza, a city which has the same name as the main city of the Philistines. Thus, an old Philistine city is now found to lend its name to a territory that almost exactly traces the borders that the original nation of Philistia occupied some 2,500 years ago. It was toward that same Gaza Strip in the early hours of the Six-Day War in 1967 that Jewish troops, tanks, and planes flew upon the “shoulders” of these Palestinians (i.e., “Philistines”) to the west, overrunning and conquering the territory just as Isaiah had predicted. Amazingly, through this prophecy Isaiah had accurately predicted the Palestinian problem and Israel’s invading of this region thousands of years before it occurred in our day! In addition, within this same prophecy Isaiah also tells us that the future reborn Israel will “spoil them of the east together” (Isaiah 11:14). In the same war that the Gaza and Sinai were conquered from Egypt, Israel also attacked eastward in both the Jordanian-annexed West Bank region as well as the strategic highlands of the Golan on their northern front with Syria. These territories were quickly taken and have been held to this day by Israel as the spoils of war. Thus, the new country of Israel truly did spoil the nations to the east just as Isaiah predicted! However, Israel’s most prized possession won in that 1967 war was when Jewish forces suddenly burst across into the old city of Jerusalem. In a series of fierce battles fought with the defending Jordanian army, the young Jewish nation won what amounted to the most significant piece of real estate that they have ever acquired in their brief existence in modern times. As we shall see in more detail in the remaining sections about Israel, the prophetic implications of Jewish control of Jerusalem are enormous for end times prophecy. “They have also cast lots for My people, Traded a boy for a harlot And sold a girl for wine that they may drink. “Moreover, what are you to Me, O Tyre, Sidon and all the regions of Philistia? Are you rendering Me a recompense? But if you do recompense Me, swiftly and speedily I will return your recompense on your head. 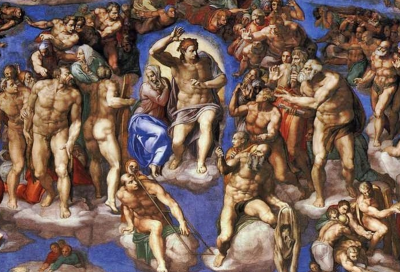 “behold, I am going to arouse them from the place where you have sold them, and return your recompense on your head. In the first part of this passage, God describes the numerous evils that were done to the Jews during the times of their scattering (see also the previous sections involving the prophecies of Israel, including The Scattering of Israel). While it was true that Israel was under the judgment of God during the time of all their troubles, the Lord never condoned the actions of the surrounding nations toward his people. Not only were the Gentiles guilty of devouring the land of Israel, but they also captured the Lord’s people and sold them as slaves to many other countries for profit. The nations essentially captured and stole their land and possessed it during all the intervening centuries since the Jews were scattered. In this prophecy of Joel, God predicts that He will eventually repay the evil of the nations by returning it upon their own heads. And how does the Lord say this will happen? By raising the Jews out of the places to which they were scattered and selling the descendants of their original persecutors into the hands of His regathered people. Isaiah chapter 11 previously told us that the modern Palestinians were destined to be conquered in the future Arab-Israeli wars during the last days. Here Joel predicts that those very same Palestinians would be scattered out of the land by the returning Jews just as the Jews had been scattered centuries before. The scattering of the Palestinians, which started even before Israel became a nation in 1948, has been called the “Nakba” by the Arabs, which means disaster, catastrophe, or cataclysm. In English, many Palestinians call it “The Great Catastrophe” to reflect that the Jews became a nation while many Arabs living in the region were dispersed. Nearly all of the events surrounding the Arab exodus from the years since 1948 have correlated to wars or battles fought between Israel and the Palestinians or between Israel and the surrounding Arab nations. Every time they try to fight with Israel the result is that more Palestinians suffer and are dispersed from the land. 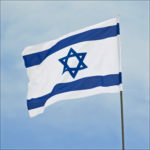 On the eve of Israeli independence there was about 1.5 million Palestinians living in the land along with 600,000 Jews. After Israel’s victory in the first Middle East war against the Arabs in 1948-1949, hundreds of thousands of these Arabs fled for refuge to many of the same Arab confrontation states that failed in their attempt to destroy the new Jewish nation. At that time, the Egyptian controlled Gaza Strip and the Jordanian dominated West Bank became havens for a considerable number of these exiled people. 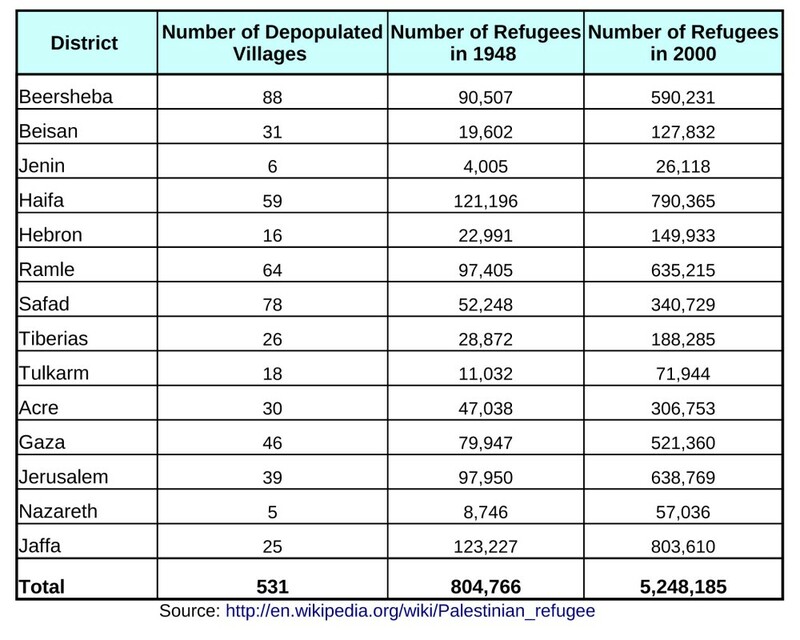 According to the United Nations Relief and Works Agency (UNRWA), in 1950 there was about 750,000 Palestinian refugees that were being helped by the U.N. Today, the descendants of those original refugees have swelled to about 5 million. Nearly 1.5 million Palestinians, or about one-third of them, still live in 58 identified refugee camps within Lebanon, Syria, Jordan, the Gaza Strip, and the West Bank areas. 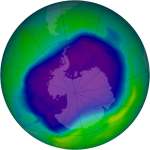 The remaining two-thirds live in or around the cities and towns of the surrounding Arab countries. Therefore, many displaced Palestinians have lived under Israeli control in the Gaza and West Bank areas since the 1967 Six Day War. The remainder have been scattered into the entire Arab world precisely as Joel had prophesied! A number of studies have been done to try and estimate how many Palestinian towns or villages were depopulated in those early years and became abandoned or destroyed. The number could be in excess of 400 population centers, which includes very small villages within Palestine (from: Ruling Palestine, A History of the Legally Sanctioned Jewish-Israeli Seizure of Land and Housing in Palestine. Publishers: COHRE & BADIL, May 2005, p. 34). In the very same way that the Jews were persecuted when they were driven from their land, the Palestinians have been “recompensed” and cursed by the hand of God just as the Jewish prophets predicted. In no country have they found rest for their weary feet. Even the Arabs who openly profess to support the “Palestinian cause” have in reality sought to either isolate them in shabby refugee camps or expel them from their countries entirely. The Palestine Liberation Organization (PLO) evolved out of this situation as a radical terrorist group bent on regaining control of their lost territory from Israel. The PLO’s ultimate intent has been to form a new Palestinian state between the Jordan River and Mediterranean Sea—sans Israel. For most of their history, the PLO have sought to undermine the peace of Israel by launching terrorist attacks from the bordering Arab states, especially from Jordan, Syria, and Lebanon. 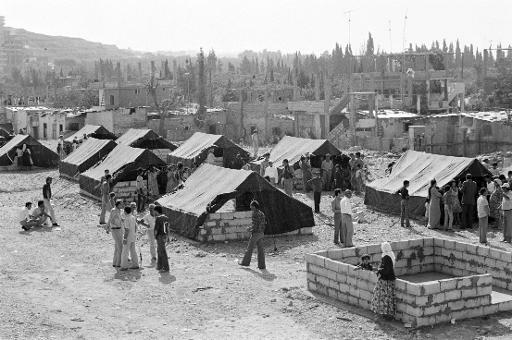 Often, the actions of the PLO, instead of making the situation better for their own people, have caused only more destruction of their refugee camps, towns, and villages and as a result scattered the Palestinian refugees even farther into the Arab world. For instance, in 1968 during the on-again, off-again “War of Attrition” which followed the Six-Day War, PLO aggression from the east finally precipitated an Israeli reprisal against their strongholds in Jordan. In a one-day operation on March 21 of that year, the Israel Defense Forces crossed the Jordan River and hit hard in and around the city of Karameh. As a result of this and subsequent smaller strikes by Israeli artillery and air forces, the PLO had to move far away into the high regions of the Jordanian mountains. Later, in 1970 these armed Palestinians were actually expelled by the Jordanian military after they failed in an assassination attempt against King Hussein. Thus, systematically the Palestinian people have been scattered among the nations exactly as the prophet Joel had predicted. In addition, the economy and living conditions within most of the Palestinian areas are among the worst in the world, reflecting exactly the curse of the Lord upon those who scattered His people and occupied His land. It is also interesting to note that Joel’s prophecy mentions parts of Lebanon by name as at least one of the territories that will feel the “recompense” of the Lord when his people return. The prediction is even specific enough to say that the cities of Tyre and Sidon on the coast of Lebanon would be the focus of the wrath of the returning Jews upon the fleeing people of Palestine. For many years the PLO (and more recently Hezbollah) have used the southern portion of Lebanon as a staging point for rocket attacks and terrorist infiltration against the northern parts of Israel. Life in the Galilee became extremely difficult and fearful because of this constant threat. Joel’s prediction concerning these two Lebanese coastal cities was decisively fulfilled when, in 1982, the Israeli Defense Forces (IDF), fed up with the continued PLO attacks, made a rapid thrust up through the southern portion of Lebanon. In what was to become the fifth Arab-Israeli war, the Jewish forces wiped out numerous Palestinian strongholds all the way up to the very outskirts of the capital, Beirut. The two cities that were hardest hit, and in which the IDF found huge caches of Palestinian armaments, were Tyre and Sidon. Can there be any doubt from these facts that the modern state of Israel is clearly prophesied in the Bible? The Lord accurately predicted not only that the Jews would return to their land in the end times, but also precisely described the dangerous conditions they would have to endure and the battles they would fight against the Palestinians and the surrounding Arab nations. Joel not only predicts the scattering and persecution of the Palestinians, but he also concludes with the statement that the reborn nation of Israel will “sell” the Palestinian refugees to the Sabeans (or to Sheba in some translations). This is an interesting prophecy, especially with regard to the political and Islamic forces in the Arab world today in support of the Palestinian cause. The Sabeans or the nation of Sheba were the names of ancient lands that existed thousands of years ago in the southern portion of the Arabian Peninsula. It just so happens that today the Palestinian cause, including much of the operational expenses and arms buying of the PLO, Hamas, and Hezbollah, is bankrolled by Arab oil money—the overwhelming majority of which comes from the Arabian desert regions, particularly the country of Saudi Arabia and the other oil-rich Persian Gulf states. Without the influx of this money and support, the whole Palestinian refugee issue would have faded from public attention long ago. Saudi financing and the politics of the global oil trade have kept the Palestinian problem in the forefront of all Middle East negotiations. Oil money has also funded Palestinian terrorist organizations and kept weapons flowing to these groups to attack Israel. To compound the Palestinian plight of being displaced from what they considered to be their homes and cities when Israel was reborn, the Jewish nation also has continued to expand their territory into the West Bank and East Jerusalem areas. Since Israel regained the ancient regions of Judea and Samaria from Jordan in the 1967 Six Day War, the Jews have built increasing numbers settlements, towns, and cities within these disputed territories. The IDF also has allocated the entire region west of the Jordan River and the Dead Sea as a military zone for self defense against their Arab neighbors, thus completely restricting Palestinians from this area, too. The result has been a constant decrease in the amount of land that the Palestinians control and a continual increase in the land Israel controls.  This trend has caused tensions to increase throughout the Middle East. In fact, during the last 25 years, the Palestinian problem has continued to grow more dangerous for the State of Israel as well as for the rest of the world. In the late 1980s a major uprising (Intifada) of Palestinians was orchestrated by Yassar Arafat, the leader of the PLO at the time, which precipitated violent riots and attacks on Jews living in the Gaza Strip and the West Bank regions. The uprising was combined with terrorist attacks within Israel, which killed or injured many innocent civilians. The First Intifada occurred as an aftereffect of the continued Israeli occupation of former Palestinian lands, especially the areas from which the Palestinian refugees were scattered. Support for the uprising among the Arabs in the Middle East was strong due to the suffering of these refugees, including the dire plight of the Palestinians living in exile and the desperate living conditions and oppression of the Palestinians in the Gaza and West Bank areas, which were under constant Israeli military control. A widespread revolt began in December 1987 and continued literally for years. Some say it ended at the time of the Madrid Conference in 1991, which was designed to initiate new negotiations on a peace treaty between the Jews and the Palestinians. In reality, however, sporadic violence continued until the Oslo Accords were signed in 1993. The First Intifada included social, economic, and violent disruptions within the occupied territories. The Palestinians orchestrated large demonstrations, work stoppages, and economic boycotts, including failure to pay taxes; however, more violent forms of the uprising included rock throwing, the throwing of Molotov cocktails, deadly firearm attacks on Israeli citizens and IDF troops, and indiscriminate bombings at populated Jewish sites. After a significant number of Israeli citizens were killed in the first few months of the Intifada, the IDF responded by deploying over 80,000 troops, who got tough with the Palestinian demonstrators by firing live ammunition and plastic bullets in addition to routinely firing tear gas and beating the rioters. By the end of 6 years of Intifada fighting, the IDF had killed about 1,200 Palestinians while injuring tens of thousands more. Some estimates say that up to 7% of younger Palestinians living in the Gaza Strip and the West Bank were injured during the fighting. In addition, the Palestinians actually killed many of their own people during that time, claiming that those killed were collaborators with the Israelis. Over 800 Palestinians lost their lives due to violence by other Palestinians. Despite international attention to the Palestinian cause and the significant disruption of Israeli society, by the end of the First Intifada the PLO and the Palestinian territories were in worse shape than they were before the uprising started. 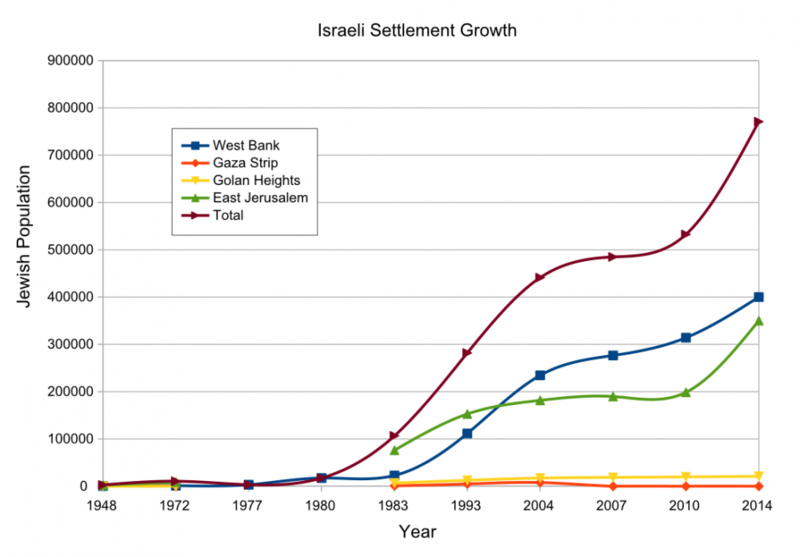 At the same time, there was increased fear in Israel that their situation was becoming more unstable as time went on. Although international negotiations and the Oslo Accords quieted the uprising for the moment, the militant Palestinians were becoming more violent and even more determined to exterminate the Jews. A number of Palestinian and Arab terrorist organizations sprung up during this period to fight against Israel, including the Palestine Liberation Front, the Palestinian Islamic Jihad, the Popular Front for the Liberation of Palestine, the Islamic Jihad Movement in Palestine, Hamas, and the aL-Aqsa Martyrs’ Brigade. Other Islamic terrorist groups in the Middle East region also began to cite the Palestinian cause as a major reason for their terrorist activities. A Second Intifada suddenly exploded in September of 2000 when Prime Minister Ariel Sharon made an unexpected visit to the Temple Mount. One would think this event would cause no problems; however, since this area was left in Islamic control after Israel conquered this important site in the 1967 war, Sharon’s act was seen as an intense provocation by the Palestinians. They immediately responded with massive demonstrations and riots, which included throwing rocks and destroying property within Jerusalem. The IDF was engaged and dispersed the rioters with rubber bullets and tear gas; however, the uprising quickly spread to other areas within Israel, the West Bank, and the Gaza Strip. Unlike the First Intifada, this second one escalated more quickly to deadly consequences for both sides. Palestinian terrorists shot and killed Israeli citizens, police, and military personnel. They used suicide bombers, missiles, and armed incursions into Israeli cities to indiscriminately kill even children. It was chaos and fear throughout all of Israel, because no place was truly safe from Palestinian violence. Although continual attacks by Palestinian terrorists occurred in the years between the First and Second Intifadas, the numbers of Israeli citizens affected by the new conflict grew dramatically in the early part of this century. The Second Intifada was even more deadly than the First, and this resulted in major policy shifts by the Israeli government. By the end of the Second Intifada in February of 2005, over 3,000 Palestinians were killed and over 1,000 Israelis lost their lives. As a result of this war, Israel decided to unilaterally withdraw from the entire Gaza Strip region and also parts of the West Bank area. This included moving Jewish settlements from Gaza to Israel and even closing some small settlements within the West Bank. In addition, Israel found itself extremely vulnerable to armed incursions into their cities from Palestinian areas. After repeated suicide bombings, Israel began building massive walls around Palestinian towns to prevent easy access to Jewish cities and towns. Once the Gaza and West Bank walls were complete, the terrorist attacks almost ceased. 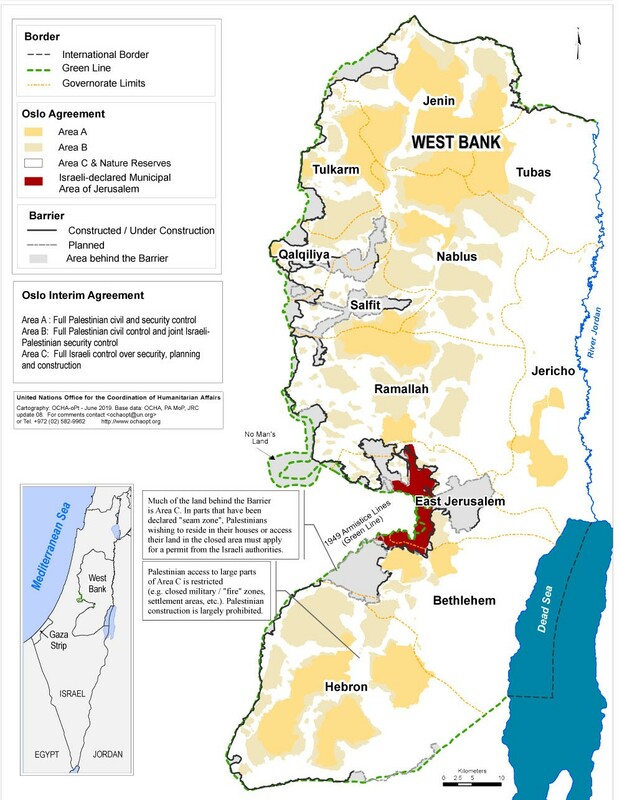 However, this only further isolated the Palestinians from outside access, because Israel controlled all movements in and out these walled areas. Once again, life for Palestinians became even more difficult than it was before the uprising. During and after the Second Intifada, another even more serious threat to Israel emerged. The two terrorist groups consisting of Hamas in Gaza and Hezbollah in Lebanon and Syria obtained missiles with much greater range and accuracy compared with the older Qassam and homemade rockets they used before. Iran even supplied to the Palestinians the larger and more advanced M-302 missile with a 144 kg warhead and a range of 160 km, which can reach nearly every part of Israel from points within the Gaza Strip. During the Second Intifada, over 4,000 rockets were launched on places within Israel. However, in the 3 years after the Intifada “officially” ended, over 6,800 rockets were launched upon Israel (from 2006 to 2008). In total from 2001 through 2014, over 15,000 rockets were fired upon Israel, which translates into over 3 attacks per day! And this doesn’t even include the number of mortars launched from Palestinian areas. Although Israel has been helped considerably by the use of Iron Dome Missile Defense System consisting of anti-missile missile launchers, which were first supplied by the U.S. to protect the Jewish state from Scud missiles during the first Gulf War and later developed by Israel’s own defense industry, the anti-missile shield is not perfect and the threat from Gaza and Lebanon still persists. In fact, the number of missiles of higher accuracy launched from Gaza during early 2014 precipitated Operation Protective Edge in July of 2014. The IDF targeted over 50 terrorist and missile sites within Gaza for attack, which began on July 8. In a massive operation lasting for months, the Israeli military battled the Palestinians and destroyed huge regions within Gaza. The IDF also destroyed numerous tunnels that the terrorists used to infiltrate Israel. 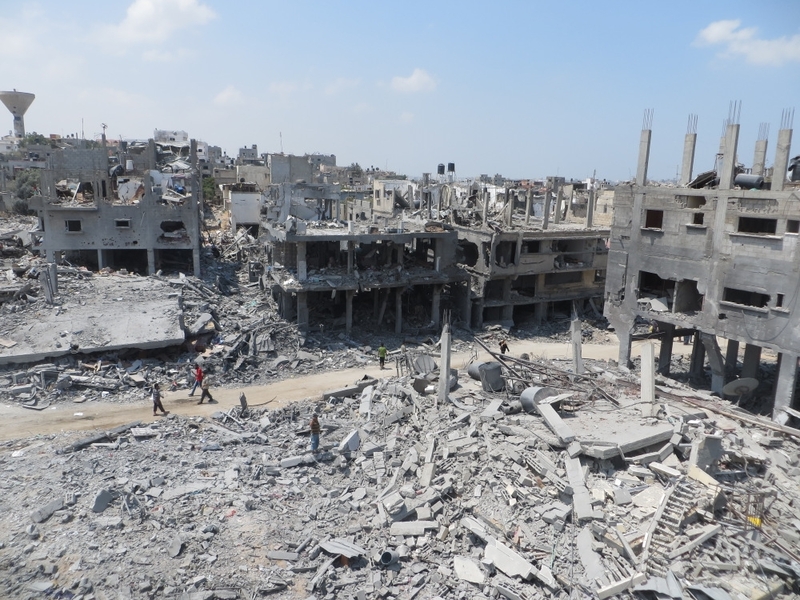 Air and land campaigns resulted in hitting over 5,200 sites within Gaza. 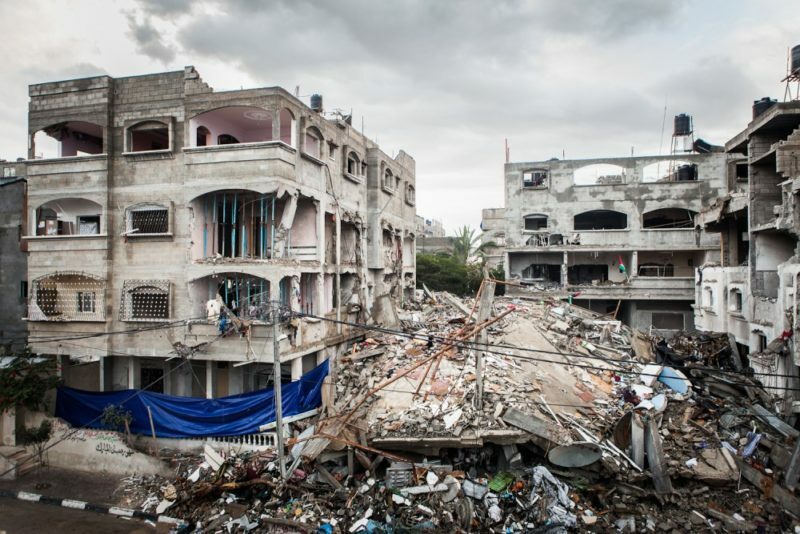 After 7 weeks of Israeli operations, including the use of artillery, smart bombs, and missile bombardments, over 2,300 people lost their lives, most of whom were Palestinians. “Proclaim this among the nations: Prepare for war! Rouse the warriors! Let all the fighting men draw near and attack. “Come quickly, all you nations from every side, and assemble there. Bring down your warriors, Lord! In our time, the Jews have indeed returned to their land, and they have also scattered the Palestinians out of it just as Isaiah had predicted over 2,500 years ago. And just as Joel had predicted, the Palestinian problem is now being loudly proclaimed among the nations. The Lord has allowed this state of chaos and conflict to develop in the Middle East with no apparent solution as the end draws near. Especially given the extreme political and religious opposition between the Jews and the Muslims, the tension only gets worse as time goes on. Israel will not allow the Palestinians to have control of their land, because they believe it is the land that God gave them from Abraham’s time. Conversely, the Palestinians will not rest until the Jews are removed or exterminated from what they view as their land. Israel, the Palestinians, and the world are all caught in this intractable situation with seemingly no prospect for lasting peace in the region. The spillover from this conflict has resulted in terrorist attacks in virtually every major country of the world. Islamic terrorism grows each year as the end of days approaches. According to Joel and the prophet Daniel (see The Time of the End), the Palestinian problem will eventually lead to a final Middle East war, which will quickly spiral out of control into a global conflict. This will result in all nations attacking Israel as the Lord causes their armies to gather in the Valley of Jehoshaphat (see the sections on World War III). It is at that time that Christ will return to defend His people, Israel, and judge the world. From: The Jews in Their Land, David Ben-Gurion, p.338-339, 1974, Double day, NY, NY. The Bible predicts and describes the modern-day state of Israel with amazing precision. Unfortunately, the picture it paints is sometimes frightening. Whether its surrounded by a hostile Arab League, threatened from within by a faltering economy and terrorist attacks, or alienated from most of the rest of the world because of the Palestinian problem, Israel sits on a dangerous precipice that is often teetering on the brink of collapse. Their uncertain existence seems to get even more precarious every day as modern missiles are deployed by their enemies and the threat from Iran’s nuclear weapons development now looms over the horizon. One thing, however, is certain: The Bible had prophesied of the Palestinian problem thousands of years before it actually occurred. The conflict between the returning Jews and the Palestinians will not be resolved through negotiation or force, but it will grow in violence and danger until the entire world is consumed with it at the end.